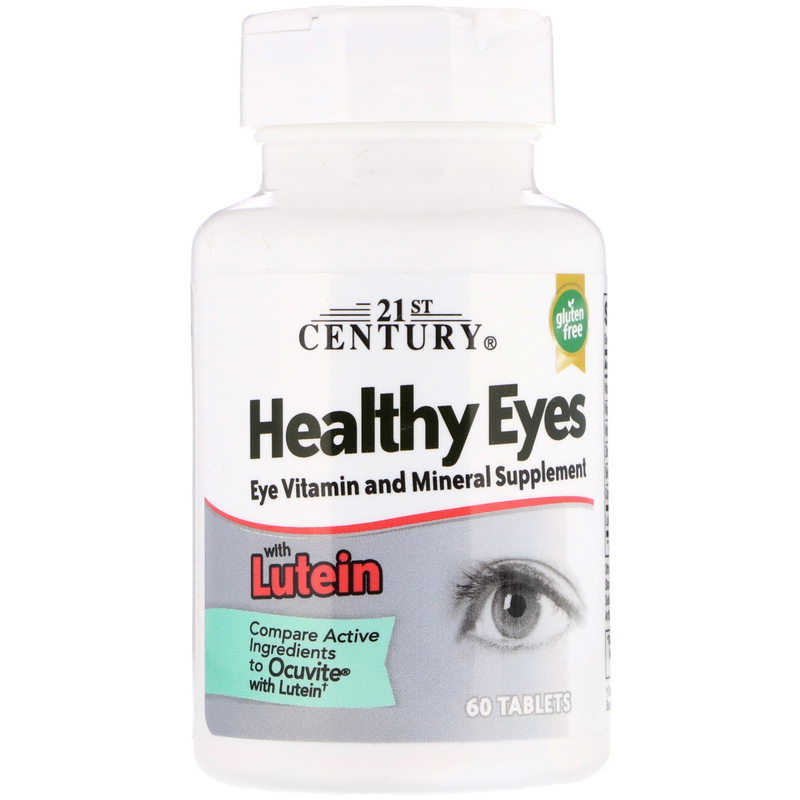 21st Century Healthy Eyes with Lutein provides antioxidant benefits with a high potency phytonutrient, lutein. 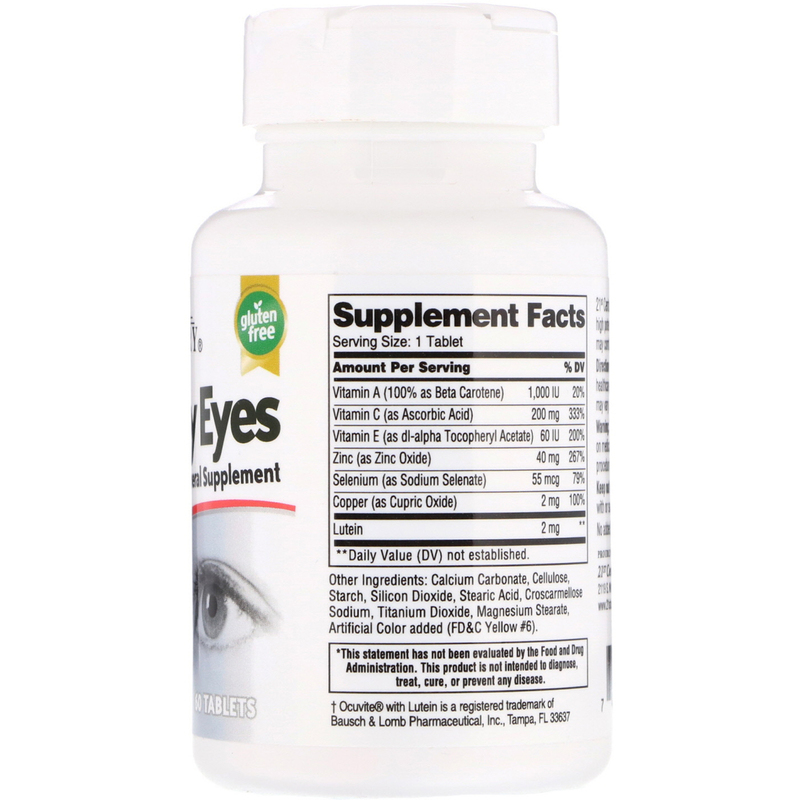 Studies have shown lutein, a carotenoid, may combat environmental and heredity effects on eye health. Calcium carbonate, cellulose, starch, silicon dioxide, stearic acid, croscarmellose sodium, titanium dioxide, magnesium stearate, artificial color added (FD & C yellow #6).